I left school on Friday and joined the crew of a fishing trawler the following Sunday evening as a share fisherman. Sharing wasn’t so much about the money but about working as a team and sharing the workload, if you didn’t do your share then it increased the workload on the rest of the crew. Doing more than your fair share is like saving for the future, so when a time comes and you are overwhelmed by the challenge you face your colleagues are more than willing to ease your burden. When you are young you learn self-respect by giving respect to others you gain respect. Although you may not agree with others decisions you should always respect them. Never ask colleagues to undertake a task that you wouldn’t do yourself, when faced with a pile of sh*te be the first to grab a shovel. When Blas was founded it was with 3 goals in mind. Firstly, to recognise the very best of Irish food and drink and reward the producers that made it, Secondly, to create a network of Irish producers who could work together for the common good and lastly, to help the consumers at home and abroad to find the very best of Irish food and drink. When a decision is made at Blas we go back to these 3 goals and make sure that the outcome is in line with them. At Blas we continue to grow, engaging in more and more events, from public showcases to networking and panel discussion events like the Backyard. With each new step we continually check against our 3 objectives, it helps to keep us on track. Listening to what others have to say is how we learn, by listening you will hear ideas and opinions you may not have considered and be better able decide how to move forward. Listening is hearing a message and should not be confused with receiving an order. So listen, consider and then decide. Lastly but by all means the most important is family, never make a decision until you have considered the impact on the family, yours, your colleagues and the people you deal with on a daily basis. If you make a decision that may have an adverse effect on family then you can be sure it’s the wrong one. In times of great difficulty the first ones we reach out to are our families and because we treat them with consideration, care and respect they will always be the first to offer their support. 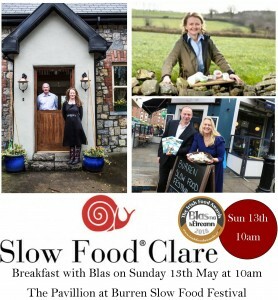 The 14thBurren Slow Food Festival takes place this weekend from Friday 11 – Sunday 13 May in The Pavilion, Lisdoonvarna, Co Clare. 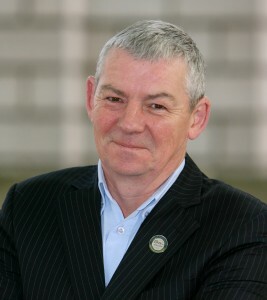 We are delighted that on Sunday 13 May from 10am – 11am the organisers are hosting “Breakfast with Blas”. This event is an opportunity for Burren Slow Food Festival stallholders and visiting food and drink producers to network with one another whilst enjoying tastings of products from the Burren including a selection that have been awarded the Blas accolade. In addition it will incorporate a 20 minute Backyard at Blas panel discussion. “Be Pitch Perfect” will focus on how to capitalise on sales and marketing opportunities in a market environment. It will be chaired by Birgitta Hedin Curtin from the Burren Smokehouse whose product portfolio boasts several awards. The Backyard goes on the Road! 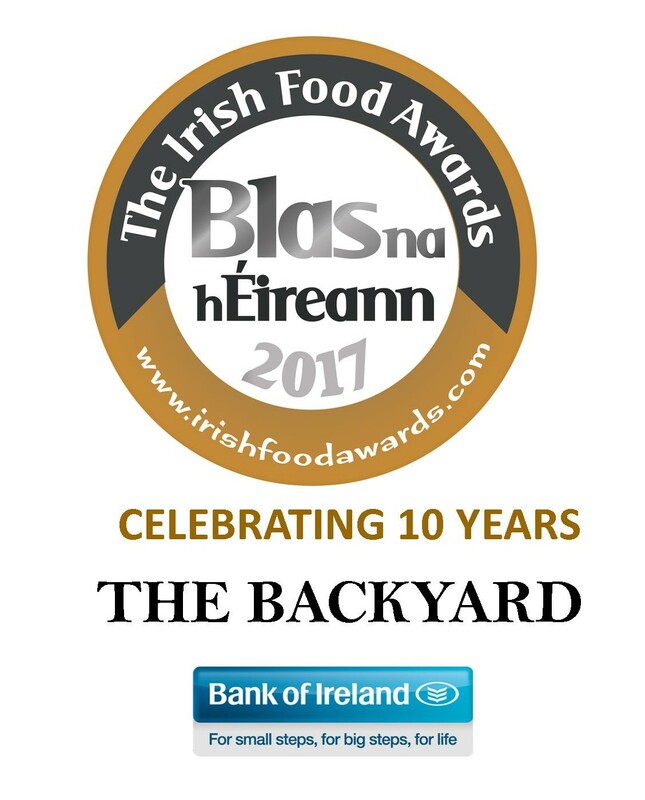 As a result of a hugely successful event during the 2017 awards and in response to demand from producers, the Blas na hEireann team is delighted to announce that it is taking the Backyard at Blas on the road. Backyard at Blas is an innovative space for individuals in the food and drink industry to meet fellow producers, gain knowledge and find support for your business. Its objective to help producers grow and develop on a personal and professional level by hearing about the experiences of others, is complimented by an interactive platform that allows for networking. Set in a relaxed, informal venue, hot topics are covered with industry leaders and experts in a number of engaging conversation panels followed by Q&As. Throughout the day, attendees have the opportunity to grab a coffee and chat with key people and fellow producers. Lunch is also served. Expanding on a hugely successful panel at the inaugural Backyard this event will focus on getting your story straight. If you can’t get your story across, you can’t sell your product. You need to be able to catch a journalist’s attention and know what they are looking for. It is devilishly difficult to get coverage these days but knowing what the media looks for is half the battle. So, too, is responding quickly to their requests and not badgering people. There is a world of difference between being dogged and being pushy. This event will look at the challenges involved, from initial meetings with buyers (including how best to prepare and to understand your category) through to the logistical challenges of expanding your delivery network. “What a BLASt – 10 years of the Irish Food Awards” produced by Sharon Noonan and Kieran Hurley was aired on UCC 98.3FM on Friday 16 March at 6.00pm on the eve of the opening for entries of the 2018 Blas na hEireann, The Irish Food Awards. An invitation from Bank of Ireland…. 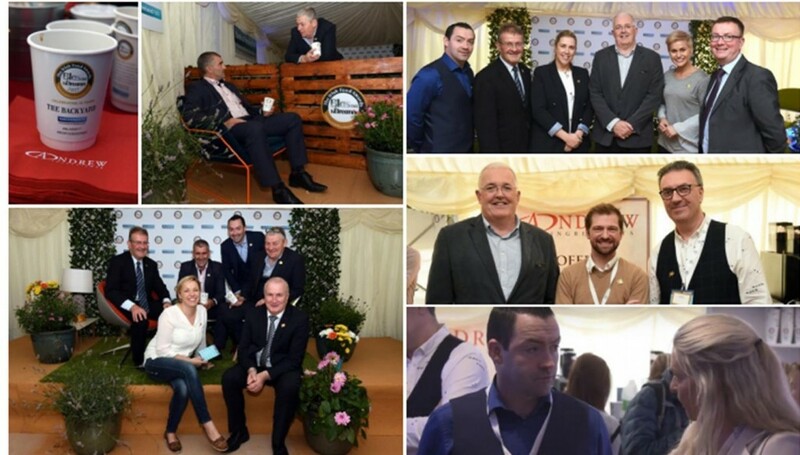 Bank of Ireland was delighted to proudly partner with Blas na hEireann to create “Backyard at Blas” at the Blas na hEireann Irish Food Awards. “Backyard at Blas” was a new innovative breakout space and networking venue at the Awards. We saw many Irish producers visit the space, negotiate and complete deals. Many also said that they took away valuable lessons from the eight workshops over the two days. These workshops featured panels with industry leaders and experts. 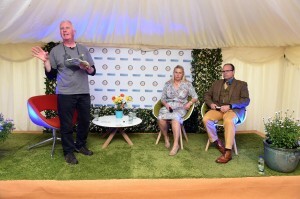 The food producers that attended mentioned that they wouldn’t have had the opportunity to meet so many key people at one event and in one room if it wasn’t for this space, which was great feedback to receive. 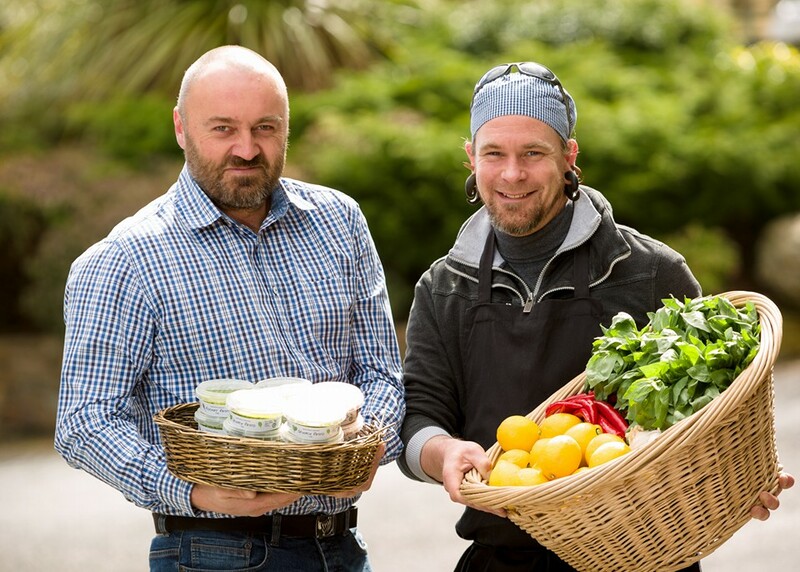 Our partnership with Blas has grown from “The Bank of Ireland Food Series “which originally was launched back in March in Limerick’s Bank of Ireland Workbench. The series is designed to help Educate, Promote and Celebrate all that is great about local Irish Food & Irish Produce. Each night held a different theme and had Key Speakers of Industry leaders from these sectors. Please search on Twitter #BOIFoodseries for a flavour of some of our nights so far. Bank of Ireland is excited to expand our BOI Food Series across two more locations in our Cork & Galway Workbenches and are delighted to Invite you as a Blas Finalist to our next Bank of Ireland Food Series night where we again will partner with Blas to launch the “Blas Buyers Directory 2017″ a guide to winners & finalists of Blas 2017. We will have a member of the Blas Family present on the night to help launch the directory along with key panel guests, the night will be a great chance to network with fellow producers and also promote your own produce. Limited opportunities for some of the finalists & winners to showcase their produce on the night but due to space this will be on a first come basis, so please express your interest along with your RSVP if you have been successful in receiving an award from Blas at the 2017 awards. This is a FREE event to attend and open to all producers. We look forward to welcoming you on the night and please support this event on social media by using both hashtags #Blas2017 & #BOIFoodseries. You have a wonderful product and an eye catching design for packaging. What’s next on your mission to making that sale? Are you Retail Ready? If you want to make it smoothly onto the store shelf and then successfully out through the checkout, it’s vital not to overlook one small element – the barcode. A barcode is not just a number. It’s your product’s “retail passport” and the product information associated with it is vital to ensuring your product moves smoothly through the supply chain and into the customer’s home. We are delighted that GS1 will be joining us in Dingle to present a Masterclass on being Retail Ready. This session will cover the main “dos and don’ts” of this key part of your product packaging. We’ll look at the international guidelines for barcode type, size and placement and address some of the misconceptions out there about barcodes. We’ll also talk about the new role of the barcode and how it provides the vital link between your physical product and today’s digital online world. To register for this event which is exclusively for finalist producers simply log in online, click on your finalist entry and register your attendee names. There is no charge for this event but spaces are limited and must be pre-registered. Bank of Ireland and Blas na hEireann are partnering to create “Backyard at Blas”, a new innovative breakout space and networking venue at the 10th Blas na hEireann Irish Food Awards. 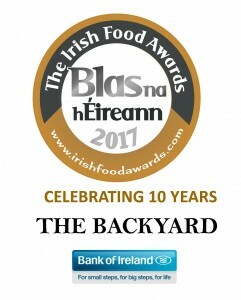 The “Backyard at Blas” is part of the ever expanding events and opportunities which are central to Blas na hEireann. The Backyard at Blas, in the heart of Dingle, will host a series of talks and networking events are scheduled on the Friday 29th September and Saturday 30th September. The partnership came about from the highly successful Bank of Ireland’s Food Series which takes place each month in the Bank’s Workbench & Community Branch in Limerick. The initiative aims to educate, celebrate and promote all that’s good about local Irish food. In addition to the Food Series being held in Limerick’s start up space, these events will also be rolled out in Cork and Galway’s Workbenches. 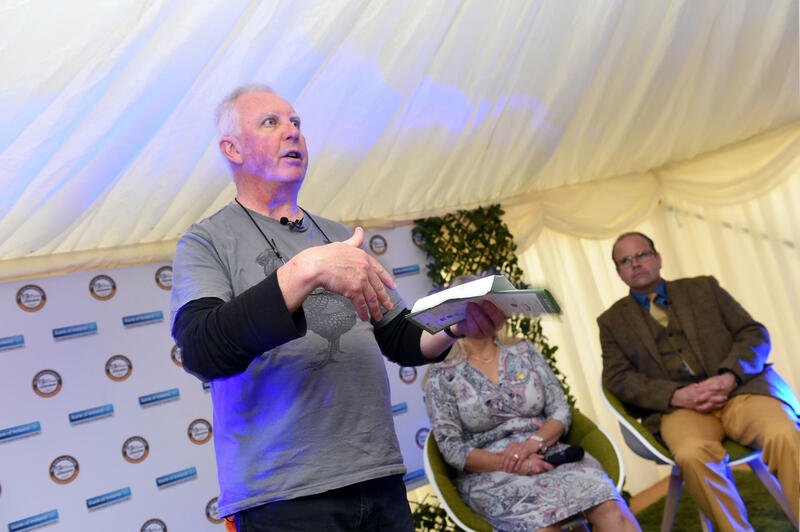 “Blas are delighted to partner with Bank of Ireland to bring this exciting new venue where producers can meet fellow producers, gain knowledge and share their experiences” said the Awards Chairperson, Artie Clifford. When & why did you start your business? We set up the business in March 2014. Both myself and Paul are Qualified Horticulturists and we met while teaching a course on growing veg organically. We decided to give up on the teaching (for now) and set up our own business producing our own range of herbs and leaves one drunken evening over a bottle of brandy! We both love to be outdoors in the garden (Cian won RTEs Supergarden and subsequently went on to receive a Silver medal at Bloom in the Park in 2014) and foraging for our native species of edible plants and fruit. We soon came to realise that we could not compete with the big boys and decided that we needed to use our fresh produce to create our own unique products. We produced a range of pickles, relishes and preserves. We had a glut of spinach on the allotment one week and we decided to make it into a pesto for the local market and it sold out within a couple of hours and we thought “Aha. . . we may have stumbled on something here!” We then began to experiment making all sorts of pesto from nettle to wild garlic to sundried tomato. I think at one point we were making 12 different types! Over the next year through research, tastings and markets we whittled the range down to the four we have today. We were not able to keep up with the demand of growing our own herbs and we now get our herbs from reputable Irish suppliers. Well I grew up eating both my parents’ home cooking which I guess is where my love of food came from. They are both very good cooks so I was brought up eating good, nutritious and wholesome foods. I am told that there was nothing I wouldn’t eat (except olives though that has been remedied!) growing up. I never really cooked until I moved out of home and had to learn by myself through experimenting . . . some worked, some failed hilariously! Now I get my inspiration from the many, many wonderful chefs we have in this country from Neven Maguire and Dylan McGrath to Oliver Dunne and so on. I am still experimenting at home and have been recently trialling some of Dearbhla Reanolds fermentation recipies and techniques. Inspiration for food though can come from anywhere, from my travels, to people I have met; some of the small producers in this country are making some truly inspirational food. What do I love about my job? Hmmmm . . . I just love producing healthy food that makes people happy, it’s as simple as that really. I love when customers come back to us thanking us and singing our praises but for me, I like the idea that I am doing my bit and helping fight this whole obesity epidemic by producing simple healthy food. I have two types of typical days. My working day and my days off which are becoming increasingly rarer these days! A typical work day involves getting up at 4.30 or 5 and picking up herbs for the day’s production. We only use the freshest locally sourced herbs we can find. Then it is out to the kitchen for a 12 to 16 hour day of production. It is a long and tiresome day but we insist on the freshest possible product going out to our customers so we make to order and have it sent out within 24 hours. Days off are spent relaxing in the outdoors with my partner Kelda and little boy Rowan. What was your best day since you started this business? Winning the Blas na hEireann awards two years running is up there but for me personally it has to be the day we secured the deals with our wonderful distributor National Organic Products and Dunne’s Stores. These two deals propelled us from being an expensive hobby local producer to a National producer. You can now get our range in Supervalu stores nationwide, selected Dunne’s Stores nationwide and a host of independent stores nationwide. All our ingredients are locally sourced. Our herbs come from McCormack’s family farm in Co. Meath. Paul is my business partner and the less said about him the better! On a more serious note. . Paul looks after the business aspect of the company and were it not for him we would not be where we are today. He has tirelessly communicated and harassed at times to broker deals to push the business forward. Paul I tip my hat to you, you do a thankless job that I could never do. There have been times when I was down and feeling that this was never going to work but Paul kept on pushing (sometimes it seems pulling moneys out of nowhere to keep us afloat) and in the end succeeded on getting us through our bad spells. It helps that we get on well together and have a friendship outside the business. We never shut off but we can have the banter be it in the kitchen or around a campfire in the woods with a beer in hand. What three words would you use to describe yourself/your business? Patience and stubborness. We have been at this now for over three years and are only in the last couple of months beginning to see the fruits of our labour. It has been three very difficult years for both of our families but the corner has now been turned. We set up the business with nothing and promised ourselves that we would not get into debt building the business. We have been true to our word, every penny the company has made has been reinvested to help it grow. It has got us tom where we are now but by god has it been a hard slog. We are delighted to welcome Priory Press Packaging as a sponsor of the 2017 Blas na hEireann, The Irish Food Awards. Priory Press have developed strong working relationships with previous winners and are proud to be sponsoring the Best Packaging Awards which are presented jointly with our academic partners UCC. For the overall judging of Blas na hEireann it is, as always, blind tasted and judged using sensory analysis without any scoring for packaging, marketing or design. However, in addition to the overall competition every entry which is delivered for tasting is also reviewed by the UCC packaging team, who specialise in this area. This is an additional opportunity to be recognised and in a separate judging process the UCC judges are looking for packaging design and innovation, an honour which has been presented by the UCC team, our academic partners, since the very beginning of the Blas na hEireann awards. It is wonderful to welcome Priory Press on board this year to jointly present this award with UCC. Priory Press Packaging are carton board packaging printers, who provide innovative packaging concepts for a variety of industry sectors. Specialising in printed sleeves and retail boxes for the food industry, the Northern Irish based company has developed a wide portfolio of clientele throughout the UK and Ireland. With over 40 years in the printing industry, their expertise in printing, the finishing services they offer such as window patching, foil blocking and UV varnish, and the quality of the packaging they produce explains why they work so closely with a number of large multiples in the retail trade as well as many small to medium producers. Their tailored and personal approach to finding the perfect printed carton board packaging solutions for their customers is what sets Priory Press Packaging apart from the rest. 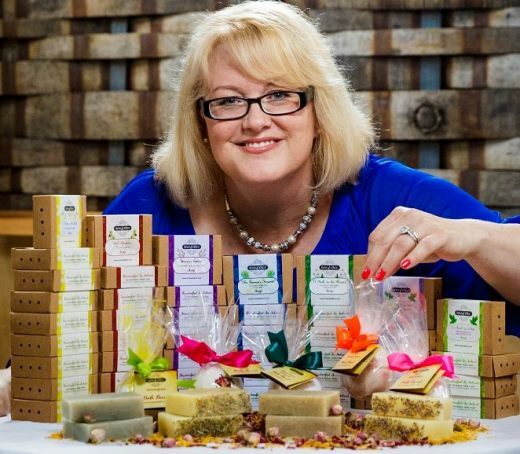 Working to tight deadlines, responding to promotional sales, and providing product pitch marketing samples are just some of the reasons they have maintained long term working relationships with customers like Tesco Ireland, Lidl and Aldi, Foods of Athenry, and Unimush to name but a few. At the start of 2017, Priory Press Packaging were awarded with a Grade AA in BRC accreditation which insists on a high hygiene and safer production environment using BRC compliant board and low migration inks for safer packaging to provide an assured supply chain for food packaging. Located just 20 minutes from Belfast, the company has a full production factory including facilities such as a design studio and photographic kitchen for customers who require full branding and artwork creation.